I.T.L.SToronto, Ontario. I am a physician from Kerala, India. After completing graduation & acquiring work experience, I tried many paths to move to a better country for myself & my family. Ind Aus & their affiliate Chartered Air Travels finally made my dreams come true by getting permanent residency for us in Canada. I’m delighted with their transparent, frank & confidence inspiring dealings with their clients in addition to their reasonable fees. Within less than 18 months I & my family have moved to Canada thanks to Ind Aus. I highly recommend their services. I am Dr Vimal Chandran who is currently doing Master of Laboratory Medicine in RMIT UNI Melbourne, Australia. I came through IND AUS, KOCHI.. The service was so excellent in guidance as well as processing the visa. I got the visa with in 25 days and it was appreciated. After coming here CEO MR SAJAN SIR was there to help me in enrolment and arranging the Highly Standard accommodation. i am really thankful for Ind Aus and wishing the very best for the other students who wish to comes through INDAUS. i am pretty sure that they are in safe hands. IND AUS have a good tie-up with ACFE. 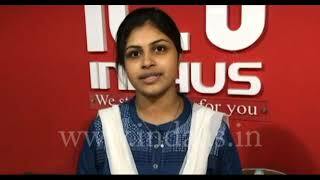 The agency gives you best advice to pass IRON program, beginning from admission process. 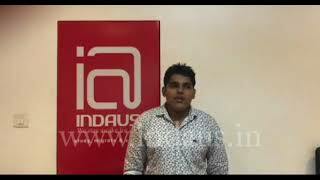 IND AUS Cochin office prepared me very well for the initial interview. 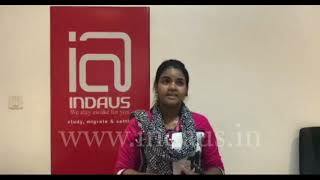 Visa, was a big trouble for me, I had situations – where I lost my all hope, but IND AUS updated me with the correct status of the whole complex process. I am thankful for the great moral support IND AUS has provided me at those tough times. Their staff in Cochin office always a pleasant voice to hear whenever I thought, I lost my way!!! In Melbourne, IND AUS provided a good accommodation, with all Kerala foods inside. I often felt charge for food and accommodation is a bit high, but I believe no quality service comes in a low prices. IND AUS provide me Airport pick up, Travel card, Insurance, and Sim card – all very helpful. The agency will ensure a good orientation of Melbourne to their candidates. I was feeling secure when I reached Melbourne. Most importantly, in college when students are in trouble, I have seen IND AUS taking keen interest to solve their issues. For my opinion with regard to ACFE, I should begin from my experience back home. I had consulted a lot of my friends in previous batches before I joined the college and they gave me more negative feedbacks than the positives. Anyway taking trust in one of my best friends I opted for ACFE to do my IRON. With the negative feedbacks in my mind, for a first few days I was a little bit worried. But, now when I am going to complete the program in a week, reflecting back I would like to say, with ACFE, I had my best learning experience in my life. To all students who are going to do an IRON in Australia my opinion is to go for ACFE. But believe me, IRON is never an easy go. You have to give your cent percent to complete the program here. And, more over the school provides you with individualized adult learning, and depends on what you have within you. The college works on your weakness and reinforces your strengths. And for students from South India, they have the habit of keeping silent in the classrooms, but it is not generally acceptable in Australian classrooms and I would like to stress, all doing an IRON program should become more interactive in the classroom, as it reflects your confidence and communication skills- both important for an RN in Australia. Moreover, when you have paid 13,000 AUD for your IRON, you should learn something from the program. When you start considering teachers as your most helpful friends, you will get everything in the right direction. Keep in mind you have to work hard, you are here to study!!! 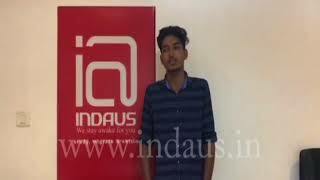 I am awaiting registration, after registration I have seen people getting job through INDAUS. 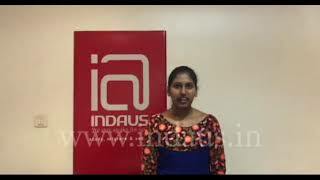 I am overall satisfied with the services provided by ACFE & INDAUS. 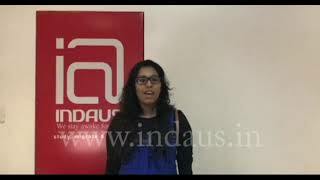 “INDAUS” the pioneer in Overseas Education, rectifies all the worries of every student who wish to Study Abroad. Though I took the decision to study in Australia quite late, IND AUS efficiently enrolled me in an excellent university (University of Federation) in Australia without any pressure. 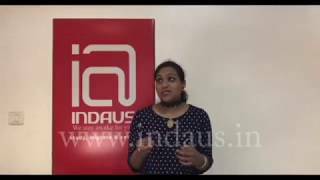 My experience with INDAUS was one of the excellent service, prompt and accurate guidance throughout the process of application and visa. I’m very Thankful to IND AUS to introduce me to one of the BEST university . Now I am making my dreams a reality. My sincere Gratitude to the entire team of Ind Aus for their support, motivate and had given confidence to reach my destination. Cheers N Regards!